This year, Microsoft impressed the world with ‘Microsoft loves Linux’ announcements, like developing a custom Linux-based OS for running Azure Cloud Switch, selecting Ubuntu as the operating system for its Cloud-based Big Data services and bringing the popular Bash shell to Windows 10. 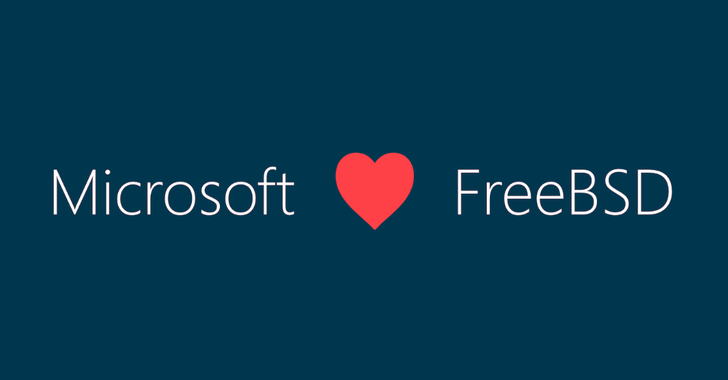 However, the key reason for building, testing, releasing and maintaining its own FreeBSD 10.3 image is to ensure its users have an enterprise service level agreement (SLA) for their "FreeBSD VMs running in Azure," says Jason Anderson, Principal PM Manager at Microsoft’s Open Source Technology Center. The company has previously worked on supporting FreeBSD on Hyper-V as a virtual machine that was aimed at ensuring software appliance partners’ kit functioned smoothly in Azure that makes use of Hyper-V.